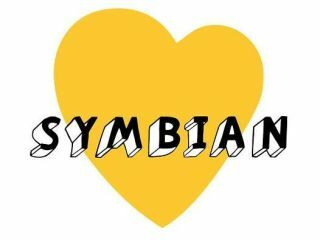 The Symbian Foundation has announced Symbian^3, its first fully open source release after its recent transition should be "feature complete" by the end of the first quarter of 2010. This means that the first phones using the new operating system are on target for later this year, as was suggested earlier this month. The new software brings with it an impressive list of user-oriented features, including radio and music store integration, a gesture framework for multi-touch support and multiple pages of widgets with the ability to open several instances of the same widget, so you could monitor different Twitter accounts or email addresses at once. There's also HDMI support for full 1080p high definition playback on an external monitor or TV, so hopefully we could see phones using powerful platforms like Nvidia's Tegra 2 powering the OS. There are also new features for developers to take advantage of, including better memory management which promises serious multitasking, hardware acceleration in both the interface and in gaming with OpenGL ES while there's also support for 4G mobile networks. Lee M. Williams, Executive Director of the Symbian Foundation, said that "S^3 is another huge milestone in the evolution of our platform. Now that it is fully open source, the door is open to individual contributors, device creators and third-party developer companies". Of course, with Android already parading around as the open source system of choice, we'll have to see if Symbian can use its large profile to elbow Google's offering out of the way.